After 10 years of being a Blue Peter presenter, Konnie Huq knows a few things about creating crafts. She has recently teamed up with the Institution of Engineering and Technology (IET) to create a series of fun, creative and educational crafts to inspire more children to consider careers in engineering.The toys are designed to make learning about science, technology, engineering and mathematics (STEM) more accessible and affordable to all families. The IET conducted a survey of over 2000 parents and found that on average parents spent £182 per child on electrical tech toys. This series of STEM toy crafts have been designed to use low-cost materials that can be easily found in your kitchen cupboard or local craft shop. Engineering contributed £486 billion to the UK GDP in 2015** and engineering jobs account for 19% of the total UK employment. Despite this, EngineeringUK predicts 186,000 people with engineering skills will be needed annually through to 2024 in order to meet demand. The IET research found that boys were almost three times more likely than girls to receive a STEM-themed toy at Christmas. The IET challenges these stereotypes and they hope that by making homemade STEM toys accessible to both boys and girls it will open up a career in Engineering to more females in the future. So why not grab a few ingredients from your kitchen cupboard ( citric acid can be bought for £1 from Wilkos) and turn your little monster into a Junior Engineer for the afternoon. 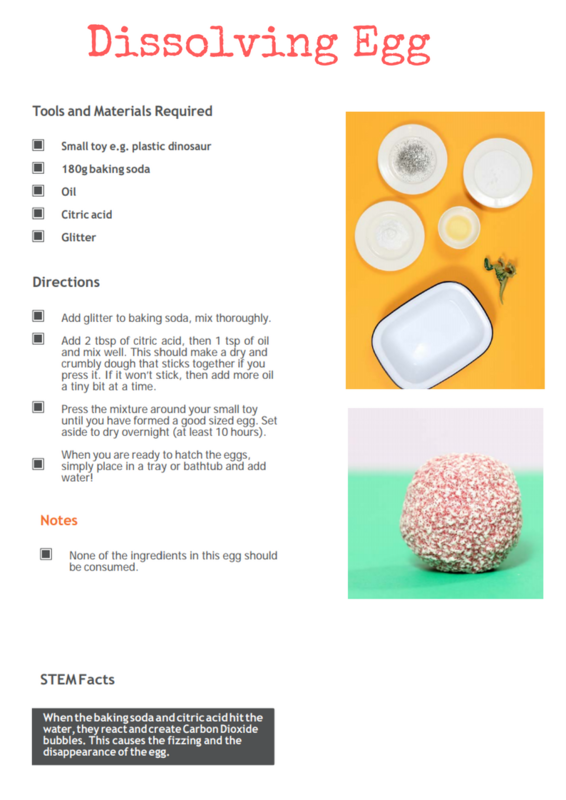 You can check out Konnie’s demonstrate the Dissolving Egg and all the other STEM Toy crafts over on the IET’s YouTube channel. "The Five #RentingRules Of Being A Tenant"